The Bank of Canada didn't actually label Toronto condos as a bubble. It never would! At least not until the bubble bursts. You see, the central bank's role is cheerleading, not doom and gloom. Similarly, OECD doesn't equate Canada's housing market to a bubble as it says there is a difference between "overvaluation" and a "bubble". This is just becoming a game of labels where words such as bubble, overvalued, inflated, and stretched are thrown around. The thing is, it doesn't really change the final outcome - yet some say that perception is everything. 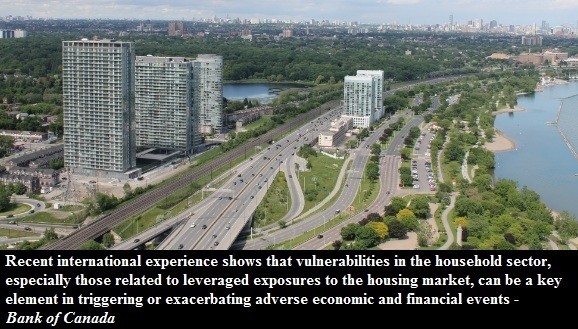 In its latest financial system report, the Bank of Canada focused on the housing market and specifically pinpointed Toronto's condo market as a place where trouble brews. You can read the original report here or continue reading for my summary with graphs.